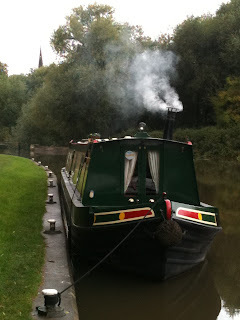 The Tranquility of Canal Boat Holidays on Britain's Waterways. This is probably the best way in the world to escape the rat race. It must be one of Britain's finest secret assets, a legacy left to us by an era set in the industrial revolution by the engineers and navvies who changed the face of our landscape for ever. Names like Thomas Telford, William Jessop and James Brindley were the main pioneers and in more recent times Tom Rolt and Robert Aickman. These two men were responsible for the revival and restoration of many waterways after canal transport was superseded by rail and road. For years since the Second World War the canals were left in decline and many turned into stinking ditches filled with mud and litter. After countless man hours by enthusiasts and volunteers many of these canals have been restored to a navigable condition for us to enjoy today. Although there are still some areas where commercial traffic is utilised, the main traffic on the canals today is from the leisure industry and there are many companies now offering canal boat holidays like Anglo Welsh all over Britain. The writers of Travels on Tranquility have no association with advertisers on this page.